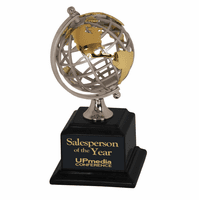 FEATURES/SPECS Reward someone who works well with others and is a true team player with the teamwork theme crystal globe recognition award. 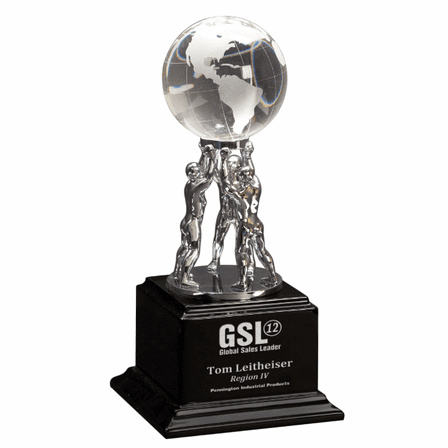 It showcases three polished silver metal figurines working in perfect unison to hoist a crystal globe above their heard. 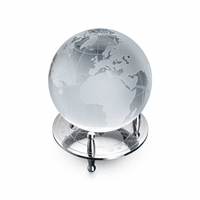 They are situated on a polished silver disk that is mounted on a piano finish black wood base. The base has a beveled edge top and a tiered bottom. Add a custom message to the base free of charge. 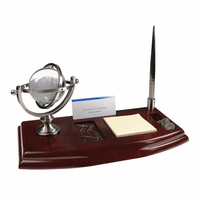 You can have a gift message and/or a logo inscribed. 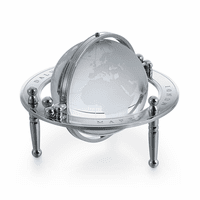 For text engraving, check the Personalize It box above to enter and customize your engraving. If you'd like to add a logo, check the Add Logo box to attach it in black and white. 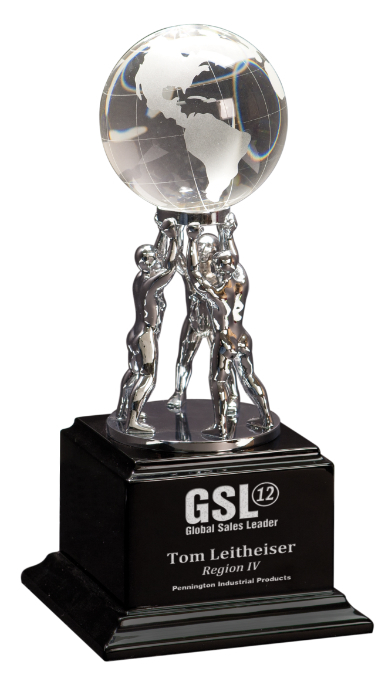 For logo orders, we'll email you a proof for approval before we personalize and ship this globe teamwork award. This was just what I imagined, everyone always asks where did I get this from. The price is priced appropriately for the quality and the look. It truly is Executive looking. ProsLooks more expensive that what I actually paid. ConsThere are none craftsmanship is excellent.